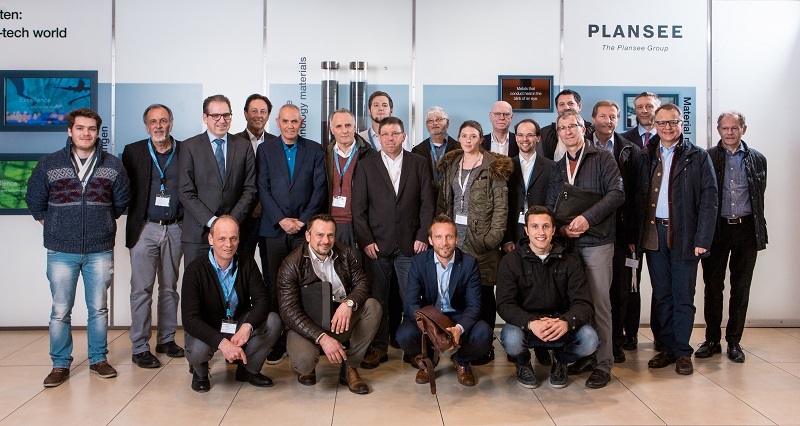 Plansee and Ceratizit hosted representatives from industrial enterprises in the Allgäu region, the Kempten University of Applied Sciences, and the Chambers of Industry, Trades and Crafts. At the networking meeting Industry 4.0 of the Alpine Region, they learned first-hand about the Plansee Group's digitalization strategy. The attendees were given tours of both Ceratizit's carbide tool manufacturing operation and Plansee's production of computer tomography components. It became apparent that automation and digitalization of the manufacturing processes allow production to be controlled considerably more quickly and flexibly and with greater focus on the customer. During the company's presentation, Karlheinz Wex, a member of the Plansee Group's Executive Board, emphasized: "We are focusing on the digitalization of our core processes." The networking meeting offers a good framework to share ideas with other companies in the Außerfern-Allgäu region and to learn from other companies' experiences with the digitalization of processes and business models.